Enter Your Preferences and Have Childcare Providers Call You! 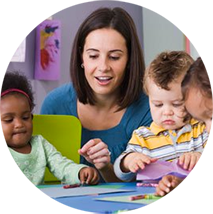 Finding a quality childcare provider can be extremely difficult. We make the process much easier! Answer a few brief questions and you will be connected to child care providers in your area. Browse all the matches in your area and then select the ones you want to speak to. Your choices will then contact you in order to answer your questions and set up a visit. Ongoing research by the National Institute of Child Health and Human Development suggests that children in quality daycare centers may even have an intellectual edge over those in other kinds of care. When researchers compared kids in quality daycare to those in other, equally high-quality childcare situations, children in centers performed a little better on tests. 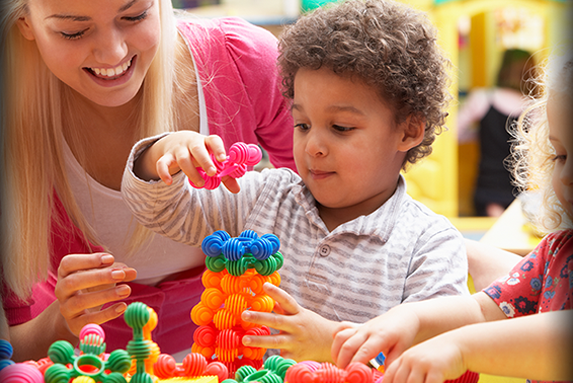 You might want to visit several different child care programs, either centers or family child care homes, before you decide which one is best for your family. 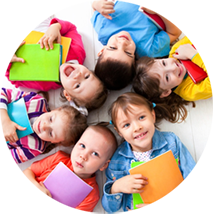 Call each child care program and schedule an appointment for your visit. Once you are there, stay for at least an hour to watch activities, check the surroundings, and ask questions. The checklist below provides a place for you to note which guidelines are met. 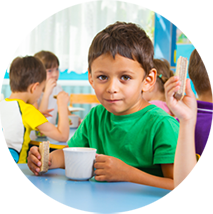 Research shows that if a program follows guidelines, it is more likely to be a safe and healthy place for your child. Your state or county may have other guidelines to help ensure health and safety in child care programs. How many children are being cared for in the child care program? Has the building been checked for dangerous substances like radon, lead and asbestos? Does the child care program have first-aid kits? Have all caregivers undergone background check? Have the caregivers been trained on how to prevent child abuse, how to recognize signs of child abuse, and how to report suspected child abuse?